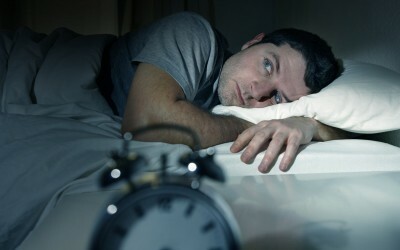 Scared you have a dreaded disease – Sleeping problems? Are you Feeling Sick & Tired? Even scared? Are you scared you may be developing something serious because of your feeling tired and worn out? Not to worry, It may only be your lymph system. An often overlooked yet key fear issue and which makes one feel tired and run down is something I call clogged plumbing. I am referring specifically to your lymphatic system which is active during the day but also highly active at night while you sleep. To avoid feeling exhausted every day, your lymph system must work efficiently in order for it to carry on proper bodily housecleaning chores, thereby enabling you to wake up feeling well rested. Healthy function of your lymph system has a large bearing on your quality of sleep and that feeling of fear of having a dreaded disease. The lymph system often has to deal with cancer cells and other bad guys in the blood – is yours working 100% while you sleep peacefully? The lymph and the immune system work hand-in-hand. The immune system (if strong and balanced) will kill the bad viruses and bacteria in the blood and hand these dead cells over to the Lymph system to rid the body of them. An under-active immune system in itself will also make you feel tired and sick. One of the funny things about the lymph and the immune system is that they have been working inside your body your entire life but you probably know almost nothing about them. For example, you are probably aware that inside your chest you have an organ called a “heart”. You have probably also heard about the fact that you have lungs and a liver and kidneys. But have you even heard about your thymus? There’s a good chance you don’t even know that you have a thymus, yet it’s there in your chest right next to your heart. There are many other parts of our life-protecting immune & lymph system that are just as obscure, it’s important to understand about some of the parts. The most obvious part of the immune system is what you can see. For example, skin is an important part of the immune system. It acts as a primary boundary between germs and your body. Part of your skin’s job is to act as a barrier in much the same way we use plastic wrap to protect food. Skin is tough and generally impermeable to bacteria and viruses. The epidermis contains special cells called Langerhans cells that are an important early-warning component in the immune system. The skin also secretes antibacterial substances. These substances explain why you don’t wake up in the morning with a layer of mould growing on your skin — most bacteria and spores that land on the skin die quickly. This is all because of your immune system or should I say a strong, balanced, intelligent immune system. Your nose, mouth and eyes are also obvious entry points for germs. Tears and mucus contain an enzyme (lysozyme) that breaks down the cell wall of many bacteria. Saliva is also anti-bacterial. Since the nasal passage and lungs are coated in mucus, many germs not killed immediately are trapped in the mucus and soon swallowed. Mast cells also line the nasal passages, throat, lungs and skin. Any bacteria or virus that wants to gain entry to your body must first make it past these immune system defences. Are your defence systems strong? Otherwise you are going to feel worn-out and down in the dumps. We are looking today at the important lymph system as it is the major reason for people lacking in energy and feeling tired. The lymph system is most familiar to people because doctors and mothers often check for “swollen lymph nodes” in the neck. It turns out that the lymph nodes are just one part of a system that extends throughout your body in much the same way your blood vessels do. The main difference between the blood (with your immune system) flowing in the circulatory system and the lymph flowing in the lymph system is that blood is pressurized by the heart, while the lymph system is passive. There is no “lymph pump” like there is a “blood pump” (the heart). Instead, fluids ooze into the lymph system and get pushed by normal body and muscle motion to the lymph nodes. This is very much like the water and sewer systems in a community. Water is actively pressurized, while sewage is passive and flows by gravity – lousy example LOL. Lymph is a clearish liquid that bathes the cells with water and nutrients. Lymph is blood plasma — the liquid that makes up blood minus the red and white cells. Think about it — each cell does not have its own private blood vessel feeding it, yet it has to get food, water, and oxygen to survive. Blood transfers these materials to the lymph through the capillary walls, and lymph carries it to the cells. The cells also produce proteins and waste products and the lymph absorbs these products and carries them away. Any random bacteria that enter the body also find their way into this inter-cell fluid. One job of the lymph system is to drain and filter these fluids to detect and remove the bacteria. Small lymph vessels collect the liquid and move it toward larger vessels so that the fluid finally arrives at the lymph nodes for processing. Is your lymph system able to do this efficiently – is it clean and unclogged? Lymph nodes contain filtering tissue and a large number of lymph cells. When a strong immune system is fighting certain bacterial infections, the lymph nodes swell with bacteria and the cells fighting the bacteria, to the point where you can actually feel them. Swollen lymph nodes are therefore a good indication that you have an infection of some sort. Once lymph has been filtered through the lymph nodes it re-enters the bloodstream. But before focussing on the lymph system, we need to firstly ensure we have an intelligent, strong and balanced immune system. You may contact me for more information and a free immune system booklet, click here.